A wee update to my training plan this week, I took a rest day on Tuesday after I only slept 5 hours on Monday night… I woke at 1am and lay awake until about 4 or 5. Sleep was more important at 630am, than getting up for my planned run. 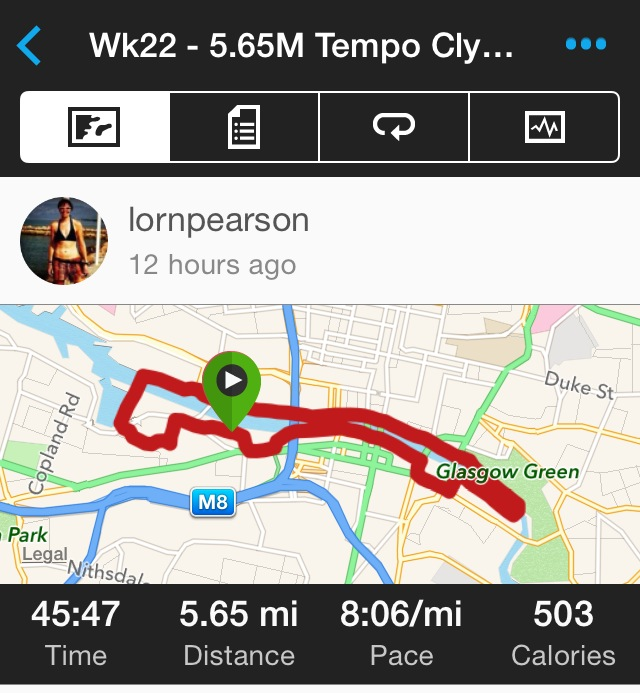 Today’s run wasn’t too nice, I ran steady for a mile, all very flat along the Clyde, then against my comfort, pushed it until my heart rate was around 165 or more. I was aiming to push it for 3 miles and as soon as I started the hard it fast work, I was willing it to be over. Lol. > If you want to run the best marathon of your life you need to push hard. Of course it’s horrible, who said it was easy? Push through that feeling for 5 minutes and your body will adjust. 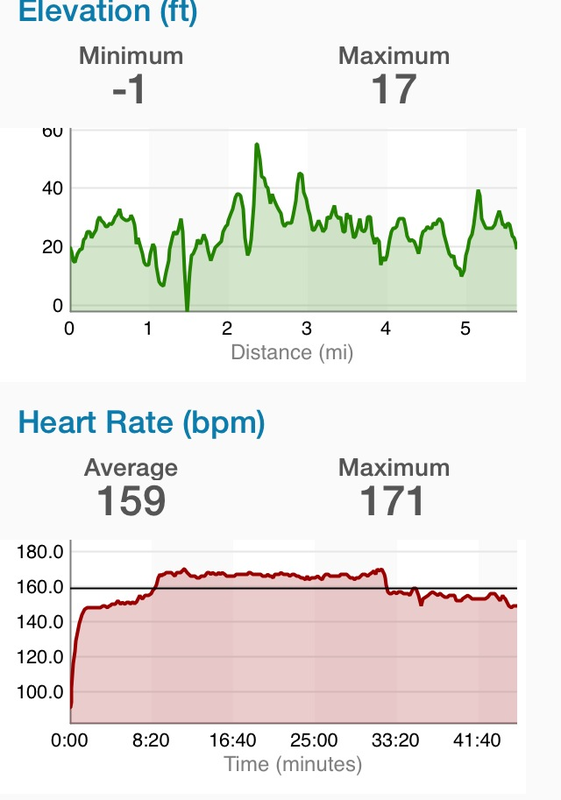 Here’s my heart rate. Up at 167 for most of it. Nasty. Horrible. Yuk. And the result? 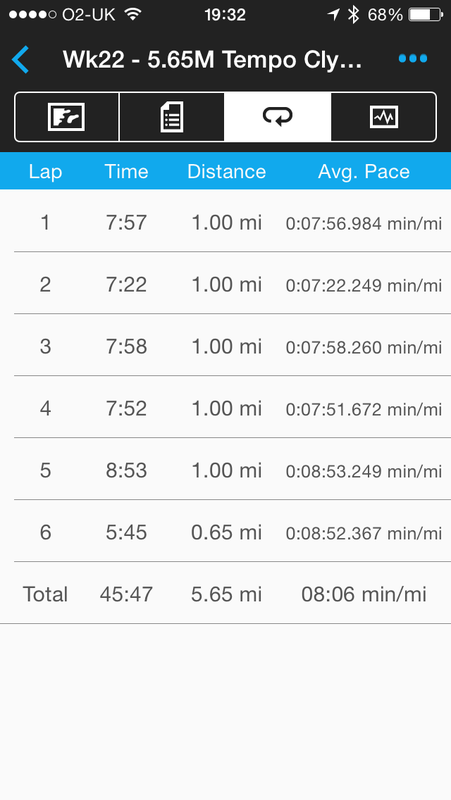 A 7:22, 7:58 and 7:52 minute mile. And about a 23:22 min 5k. Mmmmmmm. Not sure it’s worth it! Lol. Tomorrow is a nice long and easy 10 mile run in the morning before I travel to my dads. 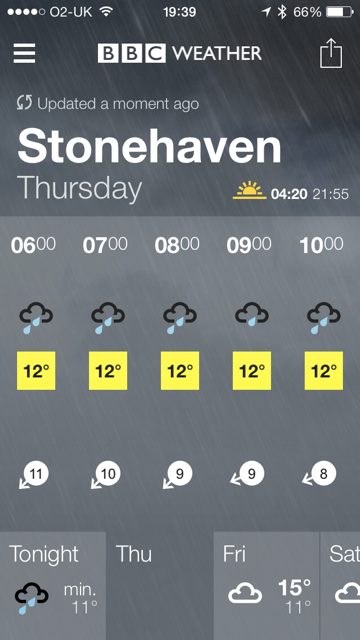 The forecast is heavy rain, so the run should be fun, the drive – not so much. I’ll just take my time and get there.